I think we’re all familiar with Murphy’s Law and the idea that “anything that can go wrong, will go wrong.” In the spirit of the season, let’s take Thanksgiving, for example. I had one friend who literally set the oven on fire, twice, just trying to brown the marshmallows on the yams. Then burned the rolls as well. Another friend had a nice visit from the local fire department when her oven caught fire from an electrical issue. (Thankfully the turkey was already done and the fire was very minor). And yet a third friend related a story of her neighbor who bought a turkey precooked from a local specialty store. It tasted rancid and she threw it out ending up with a turkey-less Thanksgiving. Upsetting, especially when you’re trying to make everything just perfect for the holiday. In talking to my friends, it sounds like everyone just rolled with the punches and didn’t let any of the setbacks ruin their Thanksgivings. I give them credit for taking it all in stride, as I’m not sure I was as composed when my own oven decided to stop working the morning of Thanksgiving a couple of years ago. The thing is, we’ve all experienced similar situations that have occurred at terrible times. Whether it’s burning dinner, rain on your wedding day or getting a flat tire on the way to an important meeting, things just don’t always go as planned. As project managers and as managers and influencers of people, things don’t always go the way we expect either. Having the train go off the tracks not only makes the job challenging, it can make life challenging if we let it. I’ve recently experienced this very thing with my team hitting some unexpected “bumps”, and I use that term loosely, they felt more like mountains at the time. I am very thankful that my entire team was able to step up and meet the new challenges and extremely appreciative of their professionalism during that stressful time. We were able to come together and get on the same page and I’m exceptionally proud of the way they all accepted the situation and didn’t let it rattle them. The “professional resilience” that they showed made all the difference in getting things back on track. So what is “professional resilience”? Professional resilience is about “our individual capacity to thrive in situations of high demand and ongoing pressure. 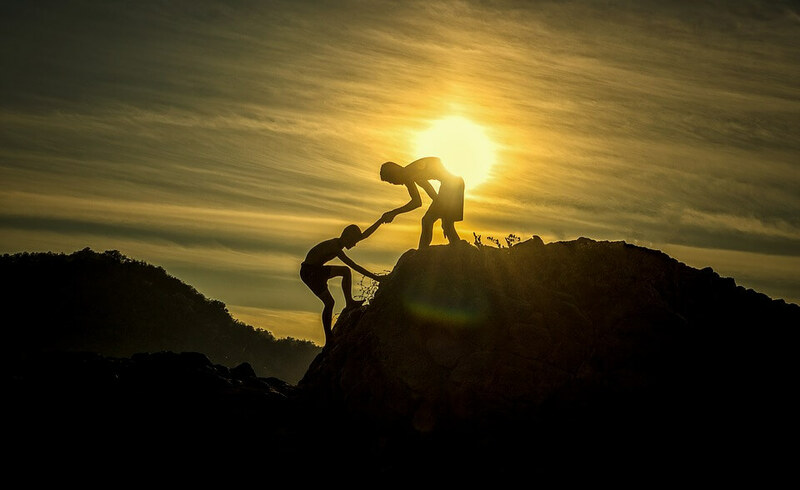 It involves how we recover from significant challenges, difficulties and setbacks and then use these for learning and personal growth in the workplace.” I recently read an article by Neil Seligman in which he discusses the characteristics of a resilient professional. The biggest take away I got from the article is that so much of what occurs in life on a daily basis is out of our control. We can control setting the alarm clock, we can’t control a power outage preventing it from going off. Thinking that we can control everything is like trying to fight the tide or change the weather. It’s not possible and all too often we try anyway. The unexpected is going to happen. Flights get delayed, kids get sick, cars break down…life happens. It’s how we handle the unexpected turn of events that can make or break us. My favorite part of Seligman’s article is the concept that while life, circumstances and events are going on around you, the only thing that you can really control is YOU. You are always at choice as to how you respond to any situation, event or person.